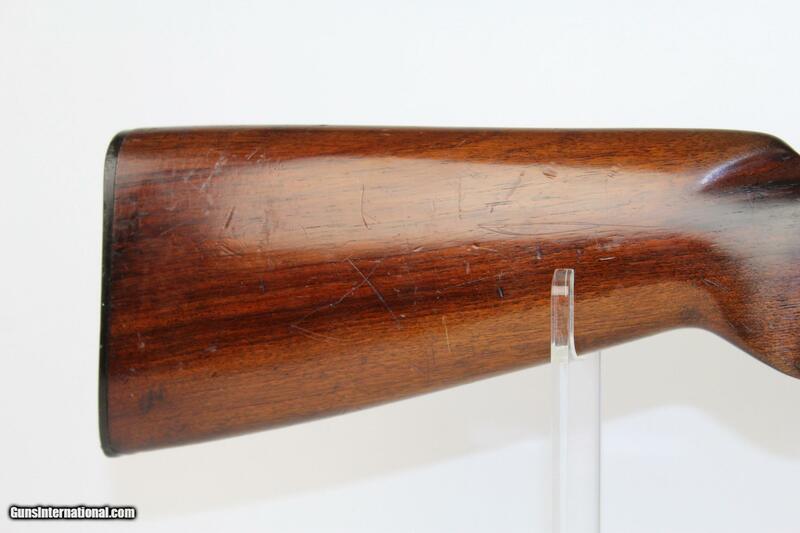 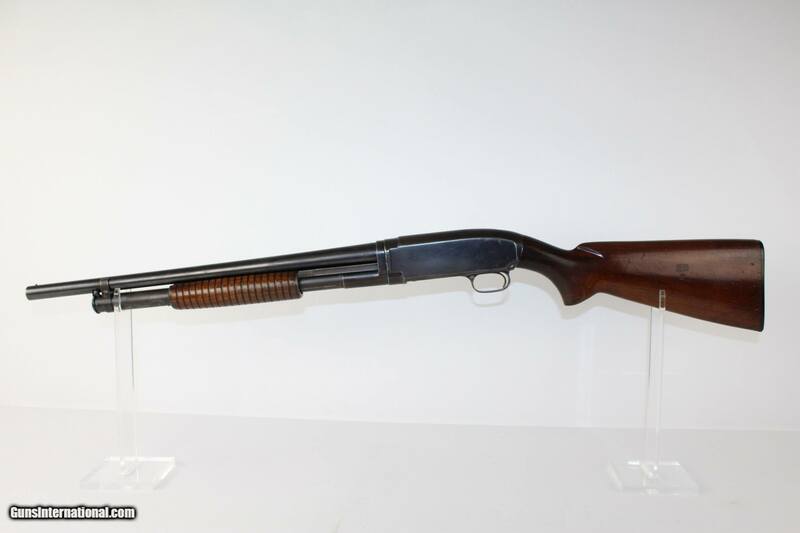 Here we present a U.S. World War II Winchester Model 12 Slide Action Riot Shotgun, manufactured circa 1941. 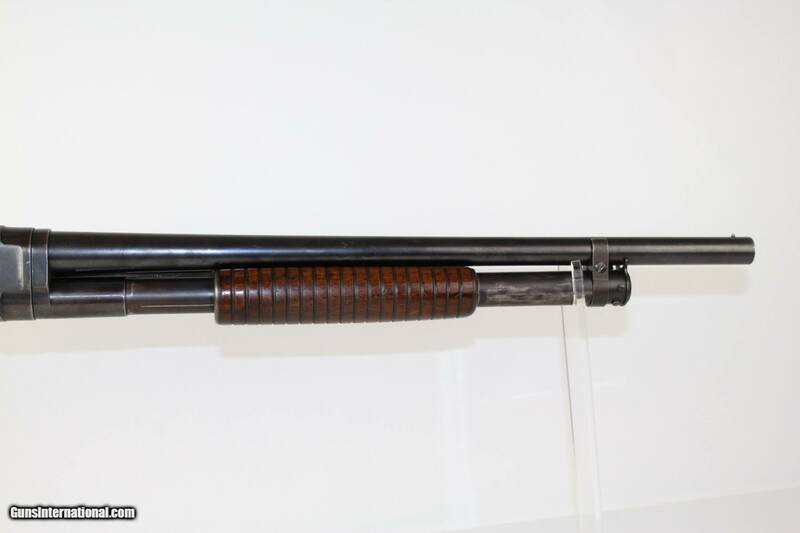 The Model 12 is an internal-hammer, pump-action shotgun with an external tube magazine. 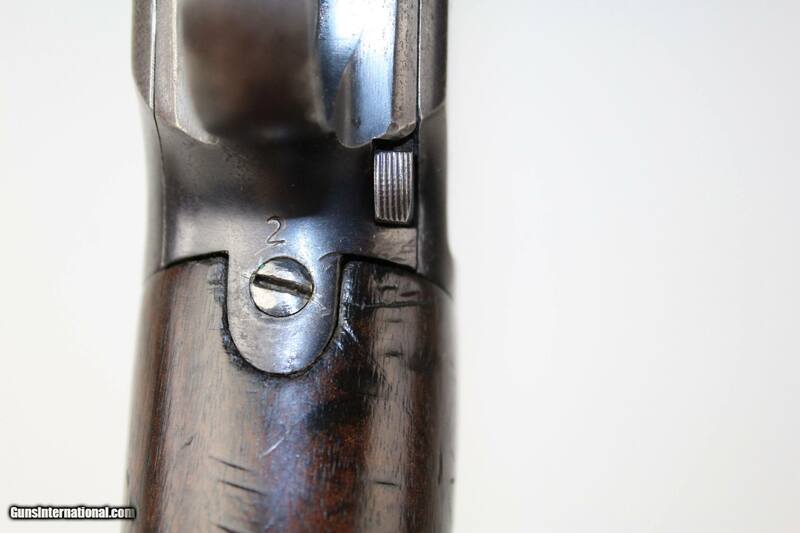 It was popularly named the “Perfect Repeater”. 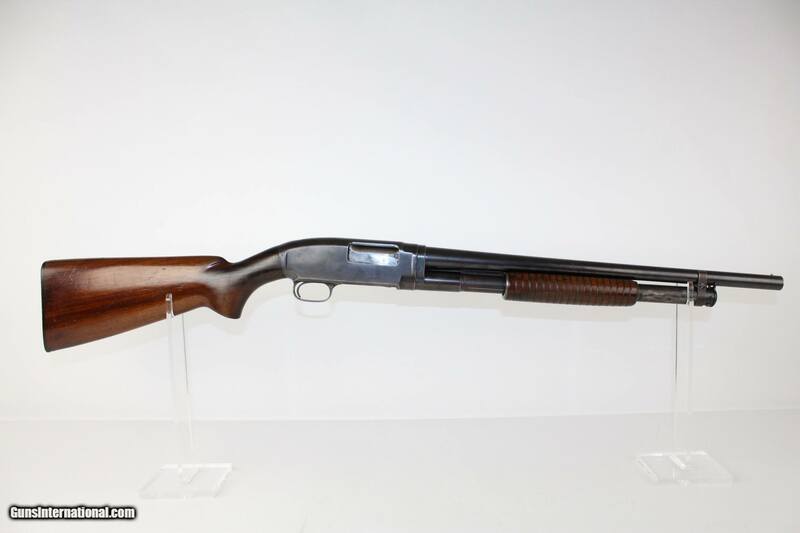 It largely set the standard for pump action shotguns over its 51-year production life. 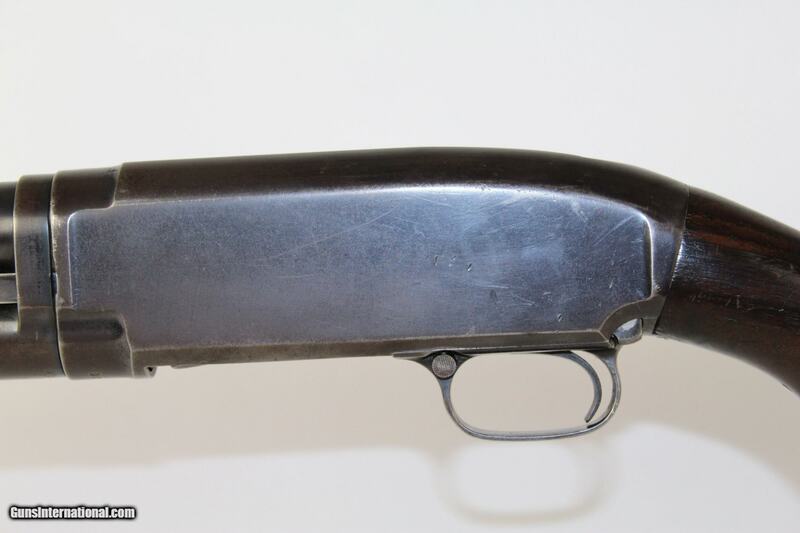 From August 1912 until first discontinued by Winchester in May 1964. 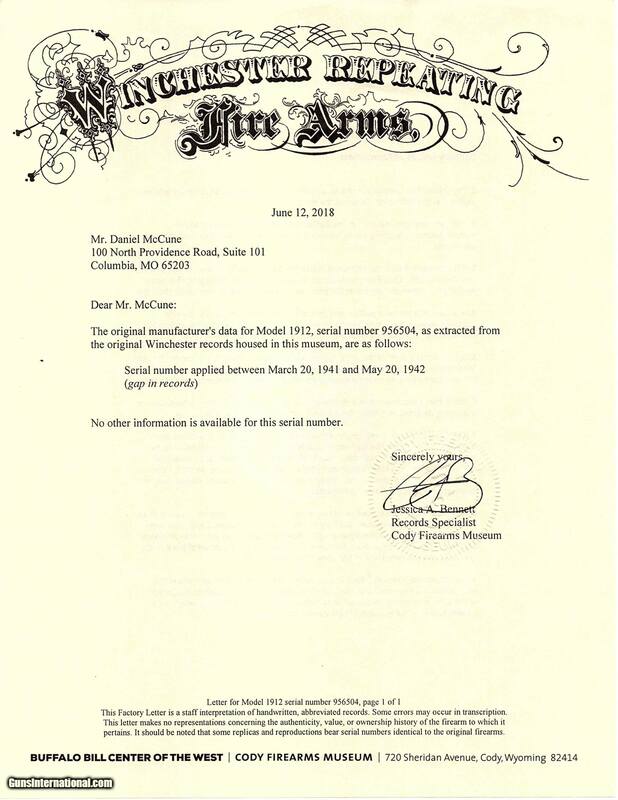 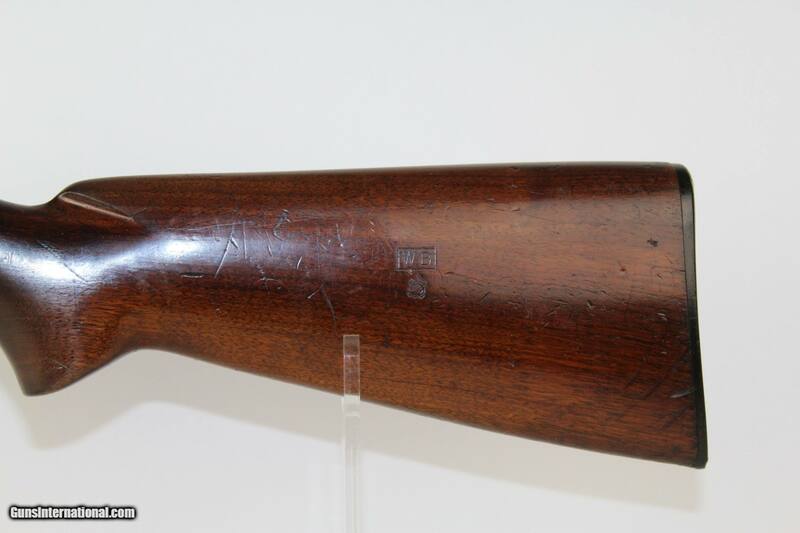 This example comes with a factory letter stating that the serial number was given to the shotgun sometime between March 20, 1941 & May 20, 1942. 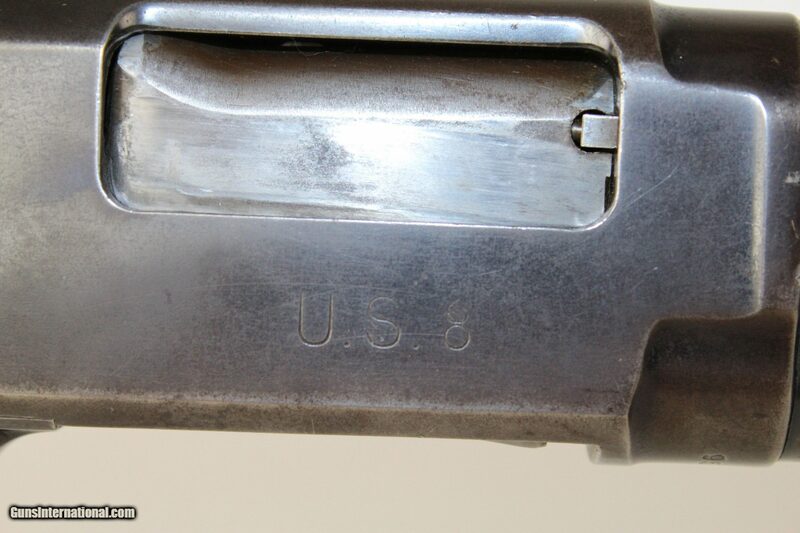 The right side of the receiver is marked “US” with the Flaming Bomb of the US Ordnance Department. 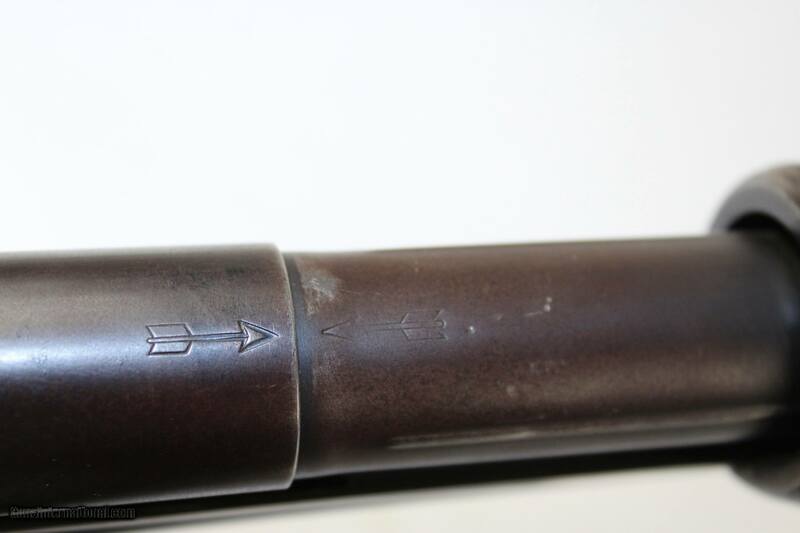 Interestingly, the left side of the barrel was originally marked “MOD” for modified choke, but was crossed out and marked “CYL” for cylinder choke, the type of choke typically used in combat shotguns. 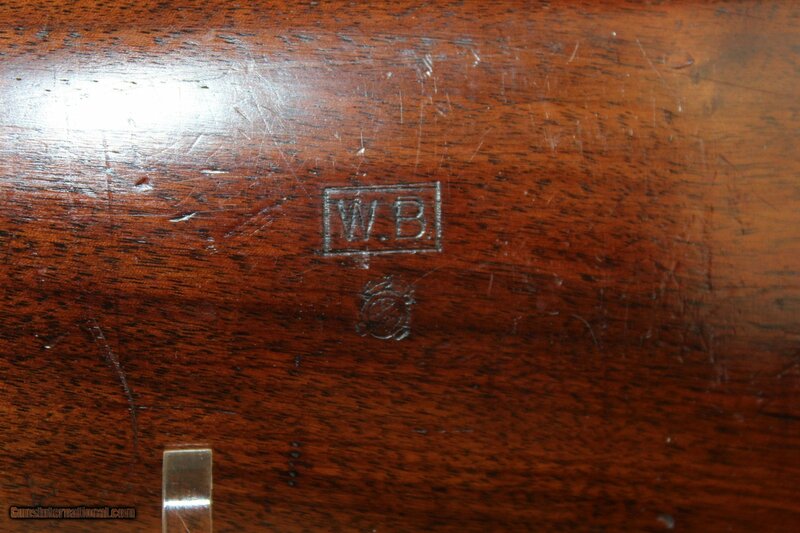 The left side of the barrel is marked “MADE IN NEW HAVEN, CONN. U.S. OF AMERICA/WINCHESTER PROOF OF STEEL/WINCHESTER/TRADE MARK/2-3/4 CHAM./MODEL 12-12 GA.” The left stock has the inspectors mark “WB” for Waldemar Broberg Col. 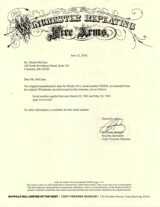 The overall condition is fine. 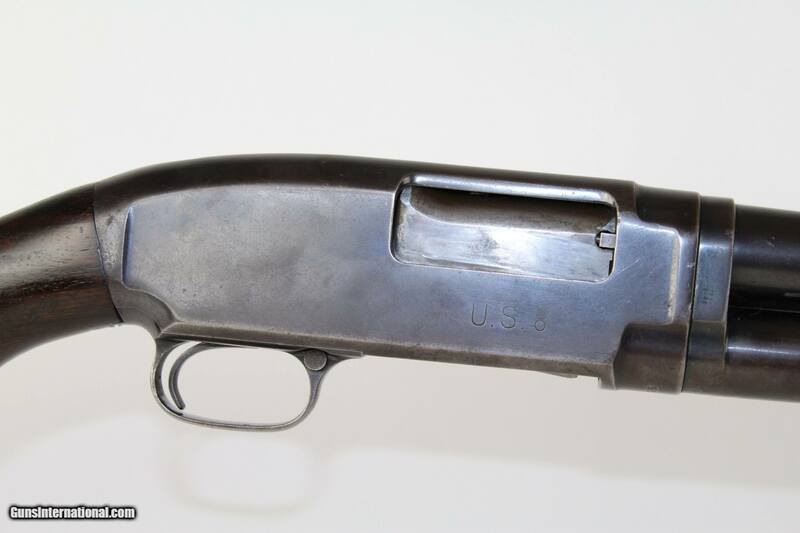 95% of the original blue finish remains. 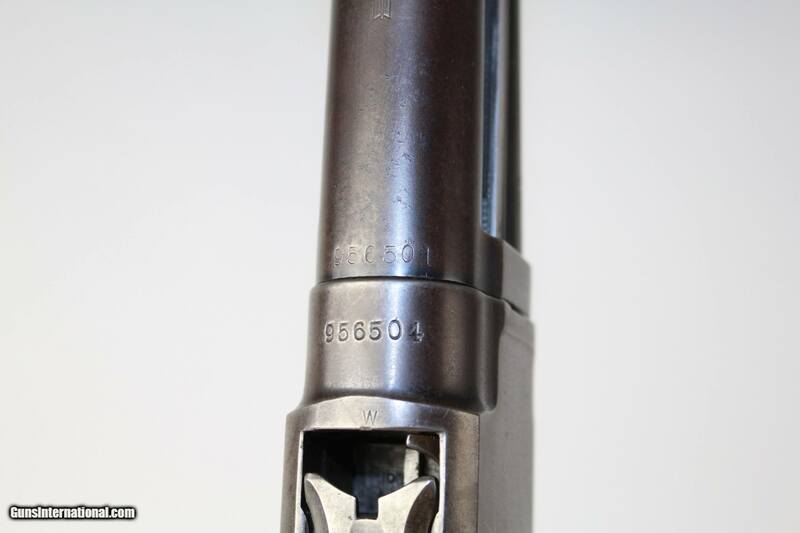 The markings are clear and legible. 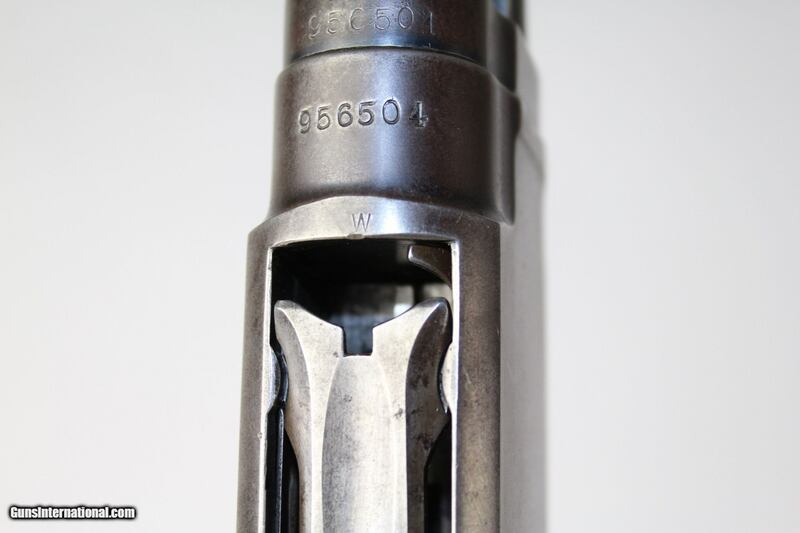 The bore is clear and bright. 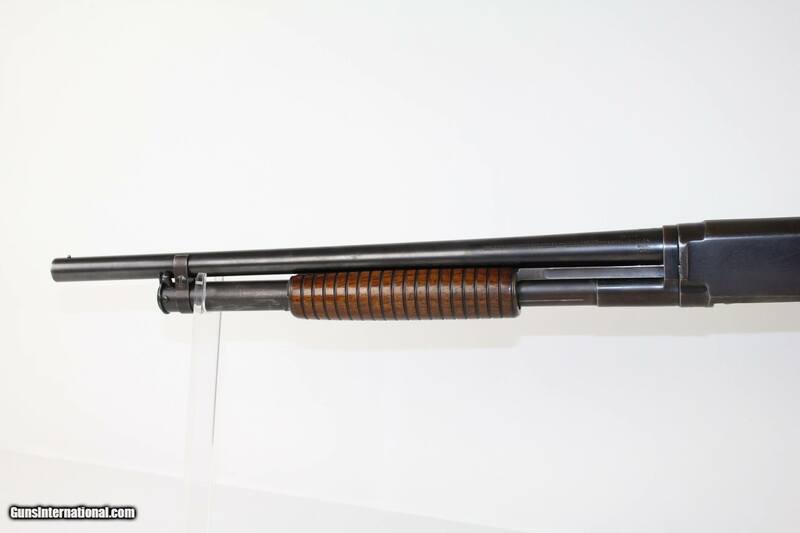 The stock is in very nice condition. 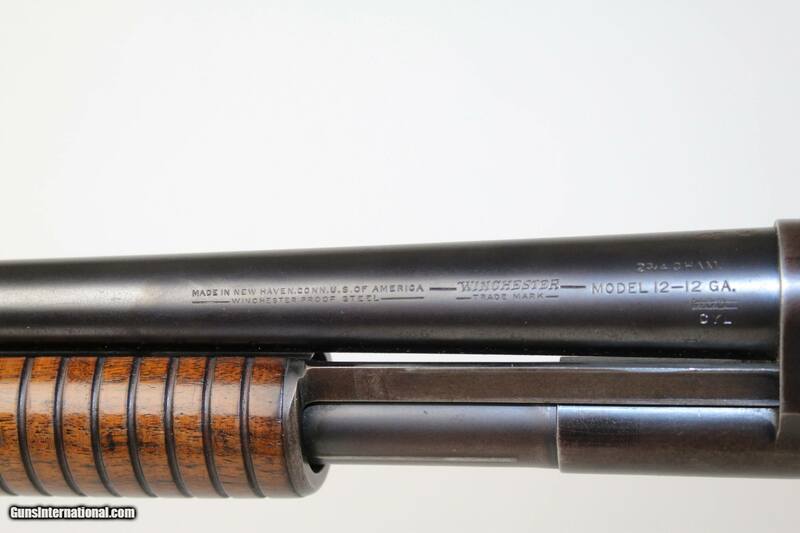 The action on this shotgun is excellent.